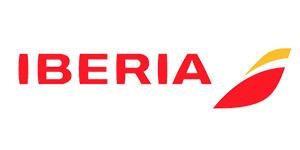 Iberia is Spain´s largest airline and operates an international network of services from its basis in Madrid. Iberia, with Iberia Regional and Iberia Express, is part of Iberia Group. They merged with British Airlines (BA) in 2011 into the IAG Group, however, both airlines continue to operate under their current brands. Due to Spain´s strategic geographical position, Iberia is in an advantageous position to serve as a hub for transatlantic routes. Iberia is still leader in flights between Europe and Latin America. The IAGOS project. Iberia has been designated by the European Research Infrastructure (ERI) to participate in this project to measure the air quality on routes from Madrid to its destinations in South America. Weight Reassignment, Rerouting and Progressive Approaches. Actions have been performed to diminish the total weight related to onboard activities. Galleys, toilets, trolleys their contents and seat distribution have been redesigned as well as reducing drinkable water in airplane tanks. CO2 Sequestration. The company supports the UNEP’s Programme to promote reforestation & conservation. The first ´Iberia Forest´ is located in Valdebebas near the airport in 2012. The same project is performed in areas around the airports of different Spanish cities. Recyling: with the cooperation of external companies, Iberia launched in 2011 an integral system to recycle urban waste at its Madrid offices as well as a system of treatment of dangerous waste at its domestic destinations. With this initiative Iberia tries to reach the goal of a ´zero urban waste´ the coming years. The Zero Cabin Waste Project is a logical step in the company’s strategy to become more sustainable in its operations.